You Rock!!! Thank you so much! rambled on way too much and didn't directly answer questions. just no. Kiki is so amazing!!! She helped me so much, thank you! Mystic Kiki Karen Hayes has been a user of Keen since 2008. 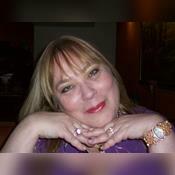 Getting Tarot Readers advice from Mystic Kiki Karen Hayes through www.keen.com is safe, secure and confidential.